Could A Coffee-Inspired Room Energize You And Make You Cozy? Could A Coffee-Inspired Room Energize You Or Make You Cozy? If you can’t start your day without coffee, then why deprive yourself? Let the warmth of a latte brown envelop your home. Balance it out with an energizing espresso. And add some sweetness with a cool powdery blue. Sounds heavenly doesn’t it? You just want to drink it up. While many décor enthusiasts will scoff at browns and greys as basic home hues, those of us with an appreciation for powerful neutrals for décor know better. A coffee-coloured décor theme isn’t plain. It’s not boring. It’s not even over done. Instead, it’s cozy. It’s comforting. And it feels luxurious. It’s like indulgent comfort food. And as an added touch, we’re loving the font-astic art. 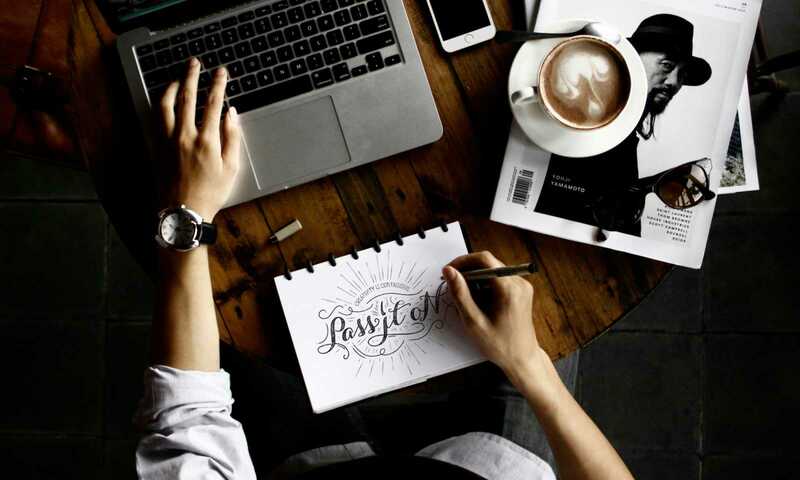 Illustrations that use words to motivate, express and to laugh are the perfect touches to your coffee-themed decor. This one is made for the kitchen, and it’s just so instagrammable. So if you approach decorating your home with how you want to feel living there, then a coffee-coloured theme just might be what you need. Not only is it warm and comfy, but it also creates the perfect place to lounge and converse. It adds visual character and sophistication. And even if you don’t drink coffee, you can enjoy it all the same in your home.